Okay, so it’s not Dallas, but who in Big D doesn’t love Little D? Besides, this is just too great a photo to keep to myself. 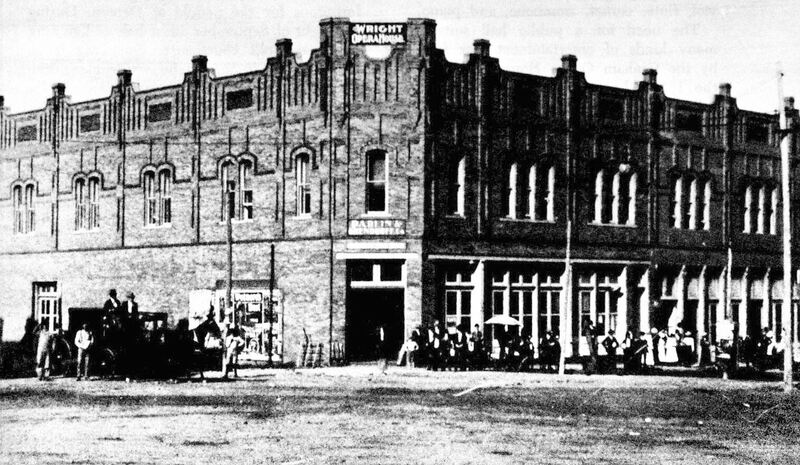 Photo of the Opera House from the article “Faded Echoes: A History of the Wright Opera House in Denton” by Clare Adkins, featured in the September, 1982 issue of Texas Historian, accessible through the Portal to Texas History, here. 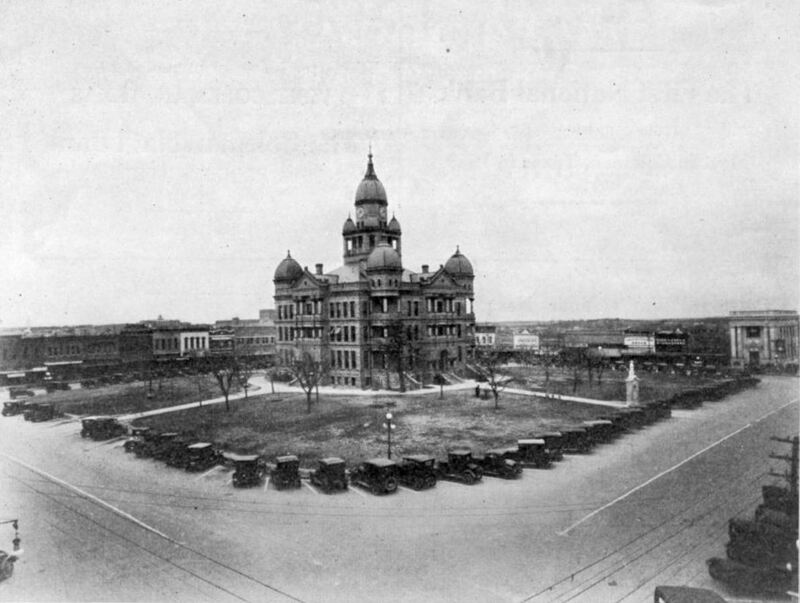 There’s very nearly a Big D connection to this image of the Denton County courthouse in that about eighteen months after this picture was taken Clyde and Buck Barrow burgled an auto repair shop just out of the frame to the left, at 311 West Oak Street. It was on the night of November 29, 1929 and the job went badly: Buck was wounded by the cops, and, with an accomplice, taken to the Denton County jail, also out of the scene to the left. Clyde wrecked the getaway car trying to outrun the law and escaped, evidently on foot. Ha! Thanks, Bob — that’s really interesting! Great photo. 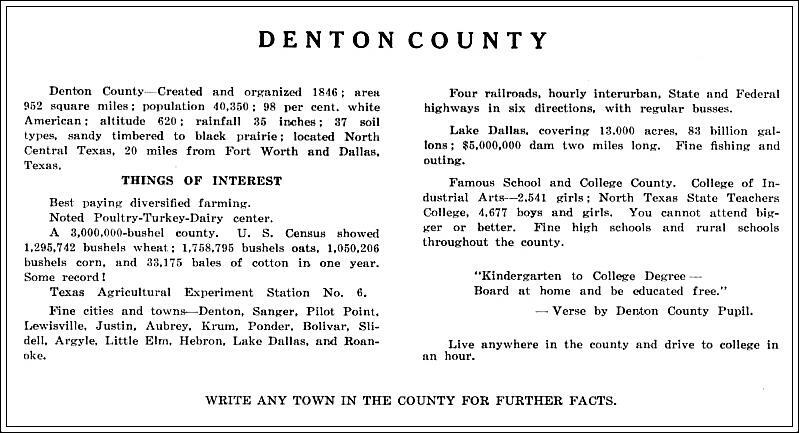 Having grown up in the Denton area I’m glad the Square still retains much of its original charm. I am, too! This view looks almost Red Square-like….